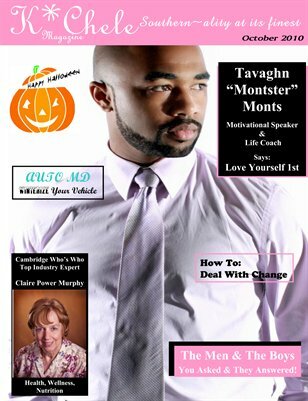 Motivational Speaker and Life Coach, Tavaghn "Montster" Monts talks about loving yourself first. How To: Deal with Change. Having a Halloween party, try this recipe. Claire Power Murphy speaks about, transforming our focus. The men and the boys answer your questions! Meet Shelby J. & blackgypsy. A love story: His presence completes me.